Getting an annual check up and preventive screenings is one of the most important things you can do for yourself and your family. Early detection and prevention can save your life. Yet many people have excuses for putting off important screenings and their annual exams (checkups). Saddleback Memorial encourages men and women to focus on their health by taking simple steps for a longer, healthier, and happier life. Some of the leading causes of death in men and women are heart disease, cancer, and diabetes. These can be successfully prevented or treated if the warning signs are caught early. According to the U.S. Department of Health and Human Services, maintaining regular check ups, being physically active, eating a healthy diet, not smoking, and following general safety rules are five healthy habits for improving your health. Every year, millions of Americans undergo routine health screenings, ranging from mammograms to colonoscopies. These tests can identify a variety of potentially serious conditions in their earliest stages while they’re still easily treatable. But do you know what screenings you should have--and when? To make sure you receive the right tests at the right time, you should see your primary care physician on a regular basis. “The blood pressure screenings, urine analysis and blood tests that primary care physicians provide during routine office checkups are critical to good health,” says Dr. Kruse. Specifically, adults should be tested for diabetes annually, high blood pressure at least once a year, and cholesterol every three to five years. Additionally, people should have an electrocardiogram between the ages of 40 and 45, followed by another test every three to five years. Other screenings such as a bone density test to detect osteoporosis may also be prescribed for certain patients based on their age and related risk factors. And every three years, all adults should be examined for cancer of the thyroid, mouth and lymph nodes, as well as the testes and prostate (for men) and ovaries (for women). Additional screenings also play an indispensable role in safeguarding health. In fact, the Pap test has reduced the death rate from cervical cancer by about 70 percent over the past few decades. And between 1990 and 2000, deaths from breast cancer have declined about 24 percent, due in large part to mammography. The death rate from colorectal cancer has also dropped an average of 1.5 percent annually since the mid-1980s thanks to increased screening. Yet, less than 50 percent of adults seek the screenings they should have according to the schedule recommended by the American Cancer Society (ACS). If you are at high risk for certain types of cancer due to your family history or other factors, you may be advised by your doctor to be tested earlier or more often. You should discuss with your health care professionals which of the tests are right for you, when you should have them, and how often. To prevent major health problems, Dr. Kruse advises men and women to meet with their physician to discuss health screenings since recommended screenings vary according to age. Become an active member of your own health care team. Having regular screenings can motivate you to modify your current lifestyle and improve your chances of living a longer, healthier life. You owe yourself that much. Want to stay on track with your regular health screenings, but don’t know where to start? Join us as we kick off National Women’s Health week by participating in our “Just for Women” health screenings, Saturday, May 13, 9am – 1pm at our Talega Outpatient Rehabilitation Center. Do something for yourself and the women in your life by registering for our health screenings which include, skin, vascular, body mass index, glucose, cholesterol, blood pressure and other screenings. Receive valuable information about women’s health matters and enjoy refreshments. For more information or to register for screenings, call the Saddleback Memorial Health Information Center at (949) 452-7255. The “Just for Women” screenings support the U.S. Department of Health and Human Services mission to help all women take advantage of important preventive health care services. For more information about National Women's Health Week, visit "http://www.womenshealth.gov/whw. 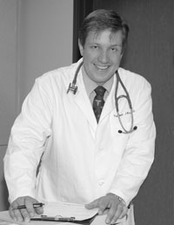 Dr. Kruse is on staff at Saddleback Memorial Medical Center- San Clemente. His office is located in the South County Medical Plaza at the Talega Business Park. Dr. Kruse may be reached at 949-366-0070.